Tool runout has significant effects on tool wear and tear. Improving your runout will increase your tool life and your overall machining productivity. It can be challenging to keep up with increasing industry demands and rising pressure to improve productivity and profitability. We often find ourselves pondering between maximizing tool life or increasing productivity. Refuse to choose. You can have both long tool life and high productivity with powRgrip. 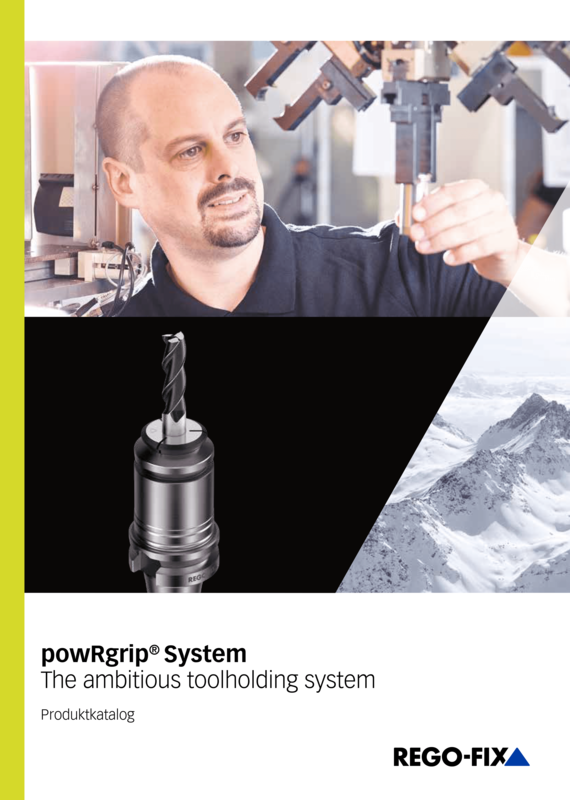 The powRgrip System provides excellent runout, high vibration dampening as well as easy and secure handling for demanding high-speed milling and drilling. Your holder and collet form a critical link between the machine, tool and ultimately the workpiece. powRgrip is a well-balanced two-component toolholding system. Its high concentricity leads to a total system runout TIR of ≤3 μm. powRgrip toolholders offer good vibration dampening to sustain a high surface finish and can help prevent chatter. The transferable torque with powRgrip is more than twice as high, when compared to shrink-fit toolholders. powRgrip is ideally suited for HPC and HSC cutting. Never let your equipment limit your machining possibilites. Our customer Deicken & Engels Maschinenfabrik GmbH & Co. KG, a contract manufacturer, has based its entire production on a single toolholding system: powRgrip. At the machining solutions manufacturer Liechti Engineering AG, process reliability has top priority. A constant clamping force is indispensable here, thus choosing the right toolholding system is of utmost importance.